SAN ANGELO, TX — North of 13th St. we have witnessed power outages. AEP is reporting 653 customer meters without power in that general area. 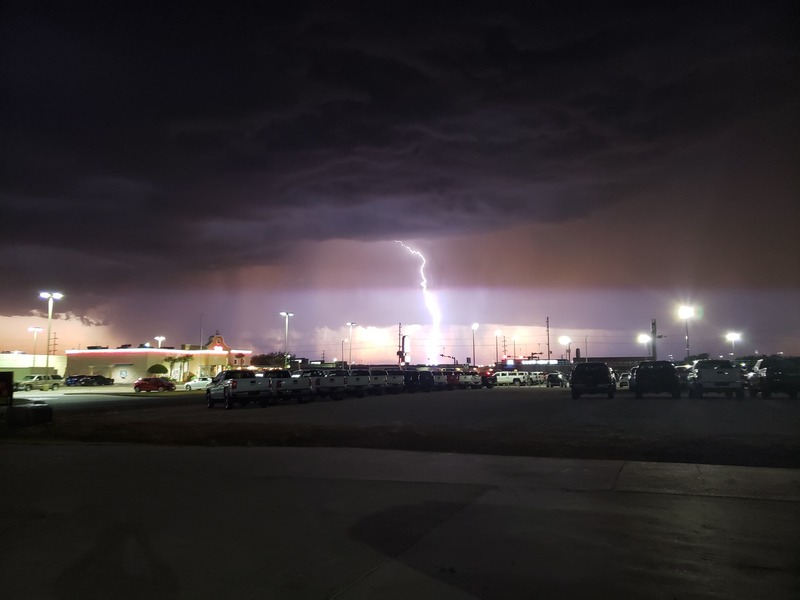 Thunderstorms with high winds blew through San Angelo after 9 p.m. Saturday night. The National Weather Service reported winds of 72 mph were recorded at a station north of San Angelo. Once the storm passed over the airport, winds had died down and were recorded at 45 mph. The storm weakened as it passed over the city, NWS San Angelo said. NWS issued an urban and small stream flooding advisory before the storm hit the city. Though no official rain totals are available this evening, NWS said most of the rainfall was in the northern parts of the city. Rain totals will be available in the morning. AEP crews are working to get the power restored quickly. By 10:30 p.m., the bulk of the thunderstorms had passed to the east, headed for Brownwood, according to the radar. There was a strong front that blew in an knocked some things over. I wonder if it is done or a storm is still brewing. baby boomers n stuff like that grew up in the fifties or sixties, great inventions and modern progress. then we invented plastic. It is pretty good sometimes.